TECHNOLOGICAL CREATION: Lee (left), Karambir (second right) and the others listening to the briefing by Selvaraj on the MHS website. MIRI: The Miri Hindu Society (MHS) recorded a memorable moment yesterday with the launching of its new logo and website. Assistant Communications Minister Datuk Lee Kim Shin officiated at the ceremony held at Raghavan Building, Jalan Brooke here. It was witnessed by among others MHS chairman Selvaraj Grapragasem, former Miri Hospital director Dr Uma Devi and Miri Indian Association (MIA) president Karambir Singh. “We have achieved a milestone with the successful creation of the website. “We hope our members will make good use of the facility and promote our organisation to the outside world,” Selvaraj said. The public may visit the website to know more about MHS and its functions and activities. Meanwhile, in another development, Selvaraj said their ‘Tamil Language Class’ would be conducted at the Kamini Durga Eswari Amman Temple at Raghavan Building tomorrow. Datuk Sebastian Ting, political secretary to the Energy, Green Technology and Water Minister is expected to officiate at the opening of the event at 9pm. 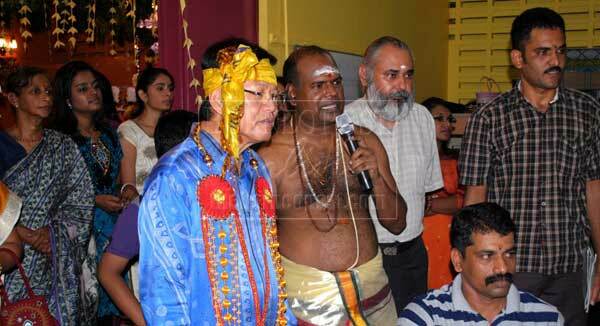 Selvaraj also reminded MHS members of the last day of the Navarathiri Festival, which is Wednesday (Oct 24). He said the milk procession will commence at 5.30pm from the Gurdwara Temple in Jalan Kubu to the Raghavan Building, and will be followed by the `pooja’ and simulation of war between good and evil, and kummi dance performances. “The celebration should be done after 11pm,” Selvaraj said. As such, he welcomed all members and families to come in full force to make the occasion merrier and successful. “Come on time to avoid any inconvenience,” he concluded.